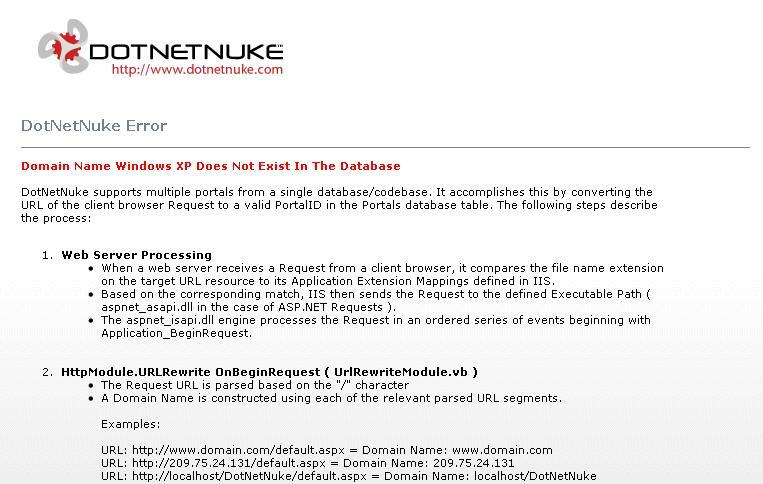 A few days back while installing DNN 5.5.1 I got following error message "DotNetNuke Error Domain Name Windows XP Does Not Exist In The Database" repeatedly. I tried everything from tweaking web.config to reinstalling ASP.NET but error kept on occurring. 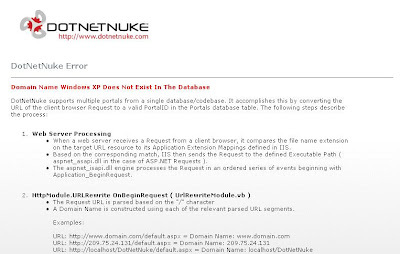 After this I was convinced that this is a database permission error. 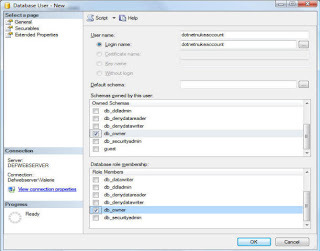 So I reinstalled database as below and there it goes, my problem got resolved. 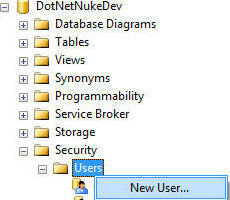 Create a DotNetNuke database in SQL Server. Create an account that uses SQL Server authentication and provide a password. 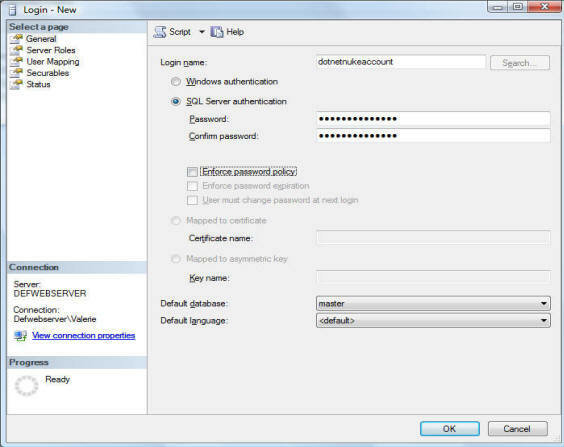 In the database you created, select Security then right-click on Users and select New User. 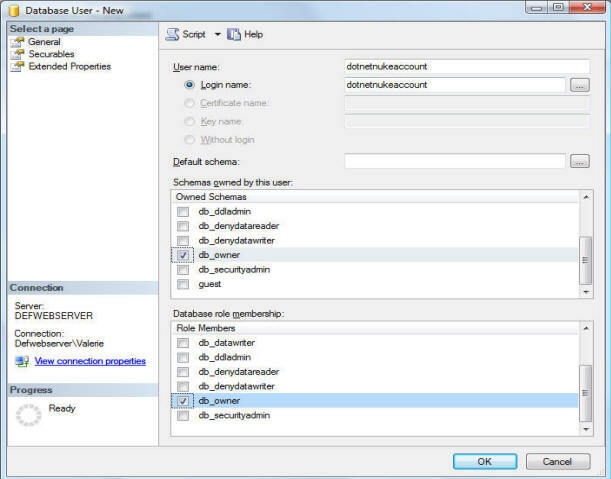 Enter the account you created and select db_owner for both "Schemas owner by this user" and "Database role membership". Click OK.
Hope this helps you guys also.